Good news! Monopole magnets have been invented! Yes, this is true! The rocket is the main vehicles for human space flight at present. However, it has many disadvantages such as large size, high cost, great danger and limited speed. These shortcomings will be overcome, if monopole magnets applied to propulsion systems and deceleration systems of spacecrafts. The speed of this new type of spacecraft may reach one-tenth of the speed of light or higher. If monopole magnets applied to propulsion systems of hyperloop, the speed of the hyperloop can be increased to 10,000 kilometers per hour or higher. This hyperloop will be the fastest and most important vehicle in the future on the earth. It can reach anywhere in the world within half an hour. These will no longer be dreams, but will soon be realized. "the N (or S) poles of A, B and C points to the central point O separately, and the S (or N) pole of D points to the central point O. As a result, a "magnetic monopole" is produced in the space around the central point O." 2. the divergence of B is zero, so you simply can't have fields canceling in this manner. There's no math in the paper. It's an amateur attempt, and fails. Also, as the first citation in the paper implies, monopoles of a certain nature have already been developed. Even if this presentation had merit, it would not be the first. 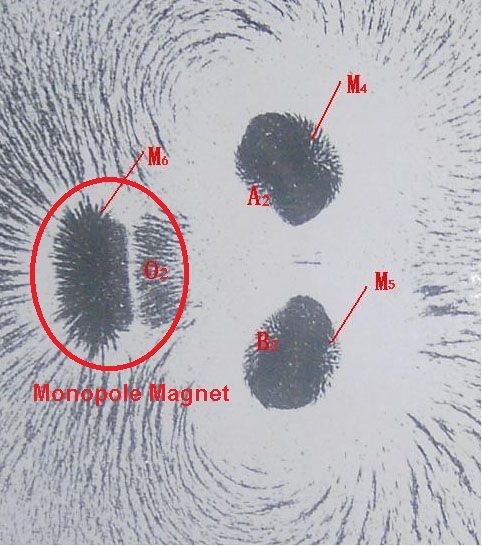 The monopole magnet was invented by a physicist named Rick Smith. Until Rick Smith (is that you?) publishes his paper in a peer-reviewed journal, I think we can ignore it. And the paper being offered here is nowhere close to something that would pass peer-review. It’s naive and ridiculous that you comment on other people’s paper without knowing science. Scientific research requires evidence.You make these comments only based on your own subjective assumptions without any evidence, the comments are unconvincing and Invalid.I suggest you read a few books about scientific research methods. Dr. Smith's paper has been submitted to PRL and passed the editorial review! Dr. Smith's paper has been submitted to PRL and passed the editorial review! yihg500k, can you give us a bit more details about Dr. Smith and his previous work maybe? I am not familiar with the good doctor's work. And how do you know it has passed review? Are you Dr Smith? A colleague? It's curious that the paper has no affiliation listed, and the email is generic, i.e. not an institutional email. And PRL papers are typically more rigorous (i.e. they have math and physics in them). The "analysis" presented on page 2 is looking at some figures from the cited papers to figure out what a monopole is. That's not how people do physics. That's one of the highest impact journals isn't it? It’s naive and ridiculous that you comment on other people’s paper without knowing science. Scientific research requires evidence. Oh, the irony! Our Dr Swanson is a working physicist with the US Naval Observatory. The evidence suggests he knows exactly what he's talking about. I assume that was addressed to the OP (and possibly "Dr Rick Smith", if that's really not the same person) rather than Dr Swanson! This is what you get for secreting your photon generator under a wicker containment vessel. The thing is, the divergence of the B field being zero is physics at a level that doesn't require a PhD. The implications are that field lines don't just disappear, like they do on electric charges (where the divergence is proportional to the charge) That's why electric fields/charges include monopoles. The monopoles people have created are really dipoles, but they can make the N and S poles so far apart that they look a lot like monopoles. But scientific papers tend not to say things like "From the above analysis, we can arrive at the conclusion that the essence of the "magnetic monopole" is a kind of monopole magnetic field." based on reading two other papers and looking at the drawings. You would expect the author to know what monopoles are already, and what their expected behavior. When you look at the attached images, the thing labeled as a monopole (M6) quite obviously isn't, as you can see the field looping back toward the other magnets. 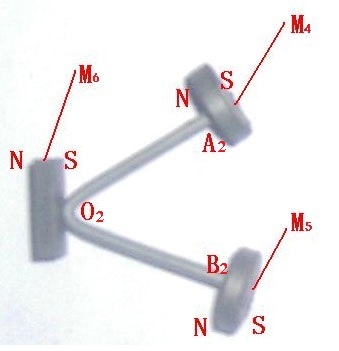 Everyone knows that if you want to achieve true Magnetic Monopole you just take a bar magnet and cut it in half (very carefully as to exclude all the South part). i was referring to the OP and Mr Smith, yes.